Are you tired of squinting at the tiny color-coded tables and difficult-to-read text you find on the typical laminated reference card that you keep with you when you're in the field or on location? Well throw away your cheat sheets and command cards! 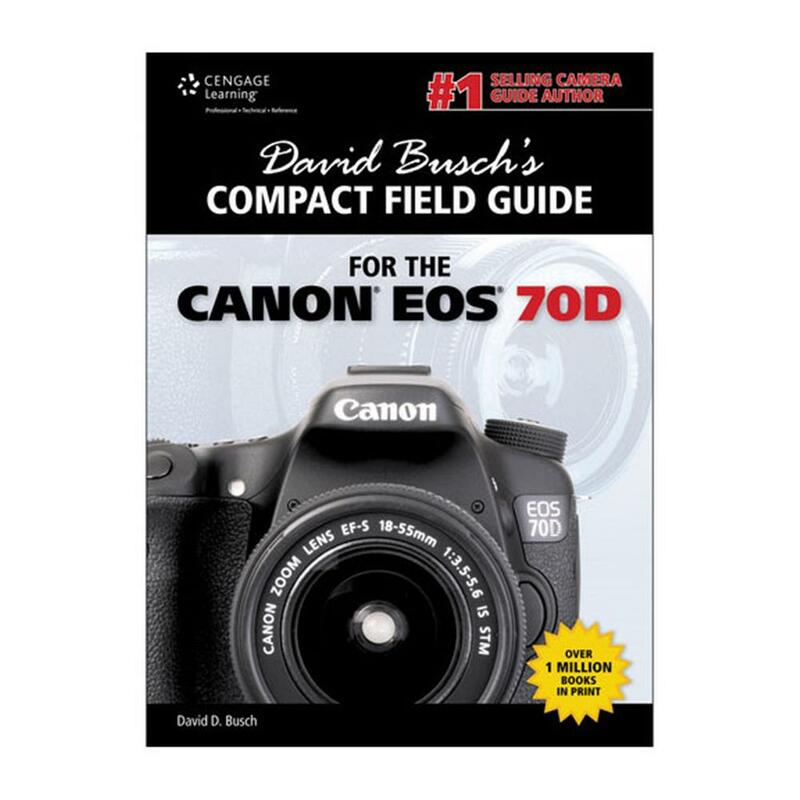 DAVID BUSCH'S COMPACT FIELD GUIDE FOR THE CANON EOS 70D is your solution. This reference guide condenses all the must-have information you need while shooting, into a portable book you'll want to permanently tuck into your camera bag. You'll find every settings option for your Canon EOS 70D listed, along with advice on why you should use - or not use - each adjustment. Useful tables provide recommended settings for a wide variety of shooting situations, including landscapes, portraits, sports, close-ups, and travel. With this guide on hand, you have all the information you need at your fingertips so you can confidently use your camera on the go.